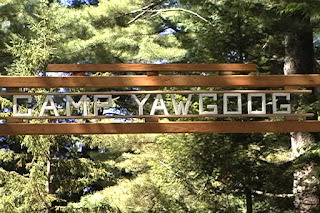 Camp Yawgoog - Founded in 1916 as “A Scout Adventureland Forever,” Camp Yawgoog is situated on 1800 acres of beautiful wilderness in Rockville, Rhode Island. 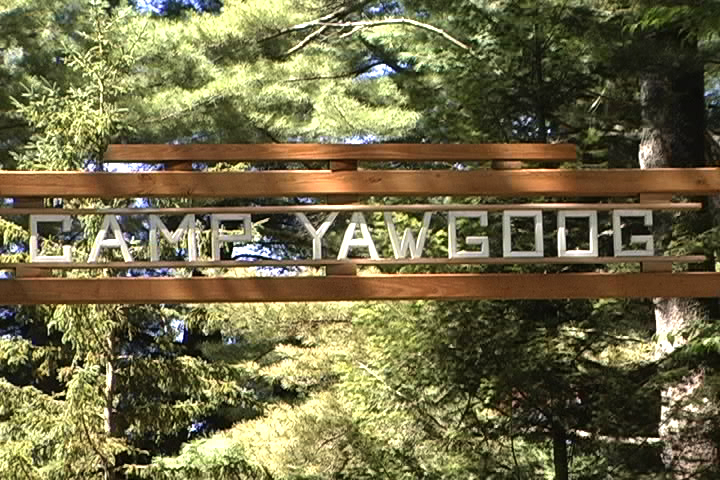 Yawgoog is divided into three separate Camps: Three Point, Medicine Bow and Sandy Beach. All three camps share reservation program facilities. For example, the Nature Center is located in Camp Three Point, but is available to all Scouts on the Reservation. Each Camp has its own traditions – a color, songs and cheers – but all three Camps offer the same opportunities to Scouts. The atmosphere of healthy Camp competition is a unique aspect of the Yawgoog experience. • 100-year-old camp was rated as a top camp in the U.S. and has made many wonderful improvements to modernize the camp. • Camp is oriented for scouts to take advantage of all the facilities. • Our campsite is Zuccolo, which is located in Camp Three Point and sits on one of the lakes. • Platform tents accommodate 4-8 scouts per tent. • The camp has several Troop competitions for us to participate in. • We will hold 2 additional meetings at Edison Elks Lodge over the summer before camp to help scouts with the swim test and any prerequisites for merit badges. • There will be one parents meeting to go over final preparation. • BSA Medical form Part A, B & C are required to attend summer camp. Part C is to be completed by a qualified medical professional. *If a physical cannot be completed by May 31 due to insurance/1yr, please inform Mr. Spaventa when the physical will be completed. A completed physical including medical form parts A,B & C must be done before camp. No scouts or adults will be permitted to camp without this completed.